At the close of trade on Monday shares on Perth company Jameson Resources Ltd (ASX: JAL) were up more than 24% to A20.5 cents. This attracted a market comment from Australian market website Markets and Money citing the company’s holding of strategic coal properties in Western Canada. Writer Jason Stevenson said established New Zealand coal producer Bathurst Resources Ltd (ASX: BRL) will initially invest $C4 million ($NZ4.5 M) to fund a northern summer exploration programme. “All up, if it chooses to advance the project, Bathurst has the option to invest a total of $C121.5 M. That should get the project production ready,” Stevenson said. If it reaches that point the prime Canadian coking coal project, Crown Mountain, will become a 50/50 joint venture between Jameson and Bathurst. Markets and Money said this was an excellent deal for Jameson shareholders. “The management team should pat themselves on the back. Bathurst is a successful and profitable operator of several coal mines in New Zealand. “It has an experienced team of operating, marketing, financial and technical personnel which should benefit the development of Crown Mountain. No Jameson shares will reportedly be issued for the transaction. That means, while Bathurst works on the project (should it continue to invest capital), Jameson has the option of focusing on other projects to generate additional shareholder value. 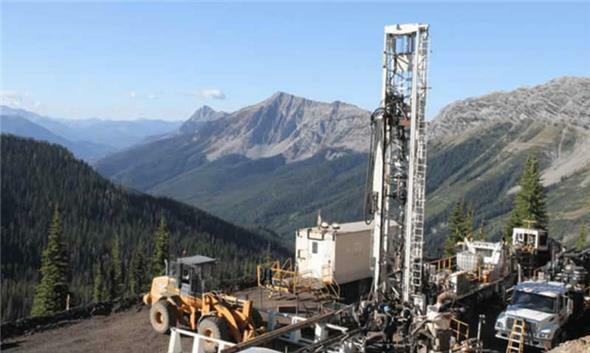 Jameson Resources drilling at Crown Mountain in Canada’s Elk Valley region.